There are now only six days left before the teams for TBT are locked in place and fan registration closes. For those of you who haven’t heard of TBT by now, here is some information on the tournament that is making its way to Philadelphia. And if you haven’t done so already, click here to sign up for Team ROBY’s fanwagon. They need as many votes as they can in order to ensure a spot for the inaugural tournament. Registration is free and will only take a few seconds and they will not bombard your email. 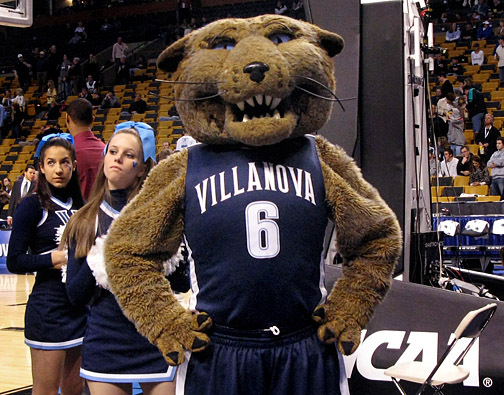 Team ROBY is looking to reunite the core of Villanova’s 2009 men’s basketball team, as well as other recent notable Wildcats, such as Mouphtaou Yarou and Maalik Wayns. They will be playing for a 500,000 dollar prize. In signing up for Team ROBY’s fanwagon, fans will have a chance to win prizes of their own. There are currently 50 eligible teams for TBT. However, only 24 of these teams will get a guaranteed spot in the field of 32. The last eight spots are decided by the TBT selection committee. Team ROBY is currently in the Top 24 of the biggest fanwagon, sitting at 21st. Right behind them are a number of teams that are hot in pursuit and very close. The more fans the merrier, as every fan counts. Nova Nation spread the word, and support our basketball alumni!